Good morning! 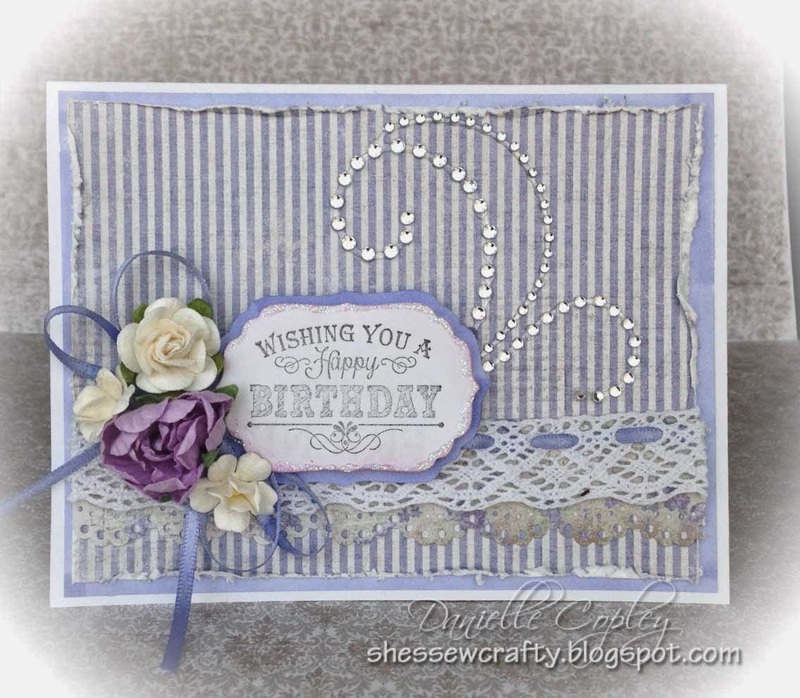 I have a quick share today of a card using the fabulous Mini Chalkboards by SC Designs of Whimsy Stamps! Have I mentioned before how much I love this set? It's such a fast card compared to one with a colored image, but still takes thought design-wise because there is no image to take the load, lol! I used my Copic BV02, I believe, to color the background layers and the ribbon I threaded through the crochet lace. I haven't used rhinestone flourishes in a while and I really love them, so my mission with this card was to use one! I added some glitter glue around the sentiment for a little added detail. The paper is Maja paper. I love how thick it is as it distresses so nicely with my scissors! Beautiful! Gorgeous paper, looks fab distressed! There may be no image on this card, but still so affective & pretty.